Four retired death-row prison officials - two wardens, a chaplain, and an execution supervisor - recently described the effect that carrying out executions has had on them. 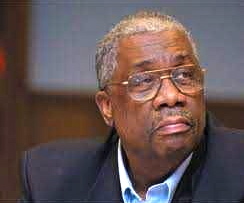 Frank Thompson (pictured), who served as a warden in Oregon and Arkansas, said he believed in capital punishment until he thought "about those flaws in the back of my mind that I knew existed with capital punishment. It’s being administered against the poor; it lacks proof that it deters anything." He trained his staff to carry out executions, but, "I realized that I was training decent men and women how to take the life of a human being. In the name of a public policy that after all these years couldn’t be shown to increase the net of public safety." Terry Collins spent over 32 years working in corrections, including time as the director of the Ohio Department of Rehabilitation and Correction. He said seeing exonerations gave him concerns about the death penalty: "[T]the system does make mistakes. I don’t think you can make a mistake when you’re talking about somebody’s life." Jerry Givens, who oversaw 62 executions in Virginia, raised similar concerns, "I knew the system was corrupted when we exonerated Earl Washington Jr. from death row...You have two types of people on death row. The guilty and the innocent. And when when you have the guilty and the innocent, you shouldn’t have death row." Rev. Carroll Pickett was a chaplain on Texas's death row for 15 years and during 95 executions. He commented, "Standing by the gurney almost 100 times, and watching innocent men killed, watching repentant men killed, and seeing the pain among families and men and my employee friends, cannot leave my memories." NEW VOICES: Arkansas Attorney General Says State Death Penalty "Completely Broken"
Arkansas Attorney General Dustin McDaniel recently said the state’s death penalty system was “completely broken” and recommended it be abolished if the state's execution method isn't changed. McDaniel said, “It’s time for the policy makers of Arkansas to say, ‘Do we continue with a broken system and throwing money and resources at essentially pointless litigation, or do we modify the system?’ And there’s only really two modifications that I see available — it’s either abolish the death penalty or change the method of execution.” He added, “Frankly, I don’t think we are telling jurors the truth when we lead them to believe that they are sentencing someone to death when we really don’t have a viable system with which to execute someone.” In speaking to the Sheriffs Associaton, he criticized the state’s lethal injection protocol because there are no execution drugs available and because of the difficulty in getting physicians to participate in executions. Arkansas currently has 38 inmates on death row. 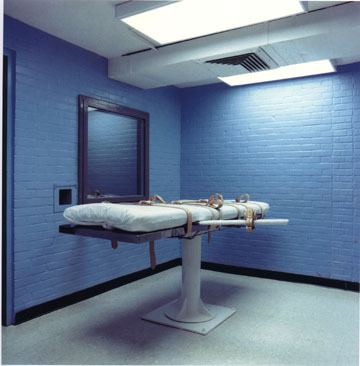 The state's last execution was in 2005. Read more about NEW VOICES: Arkansas Attorney General Says State Death Penalty "Completely Broken"